YES! 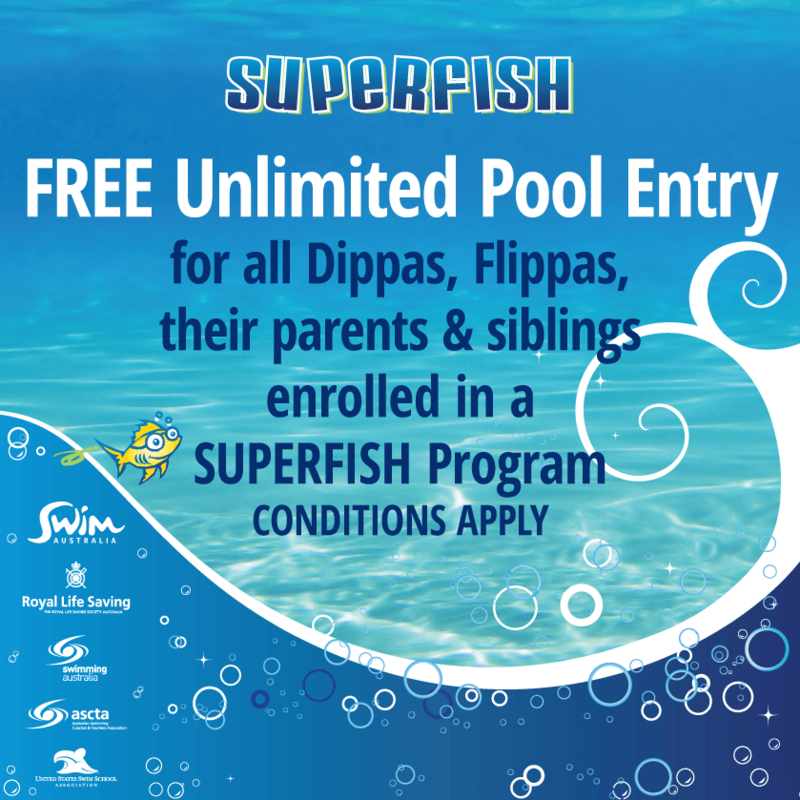 FREE Unlimited Pool Entry for all children currently enrolled in a Superfish Swim Schools Dippas and Flippas programs – and their parents and siblings. CONDITIONS APPLY. Mon-Sat during scheduled times, see timetable.